SINCE THE 60'S MUSICIANS HAVE melded jazz with rock, pop, R&B, and classical music. 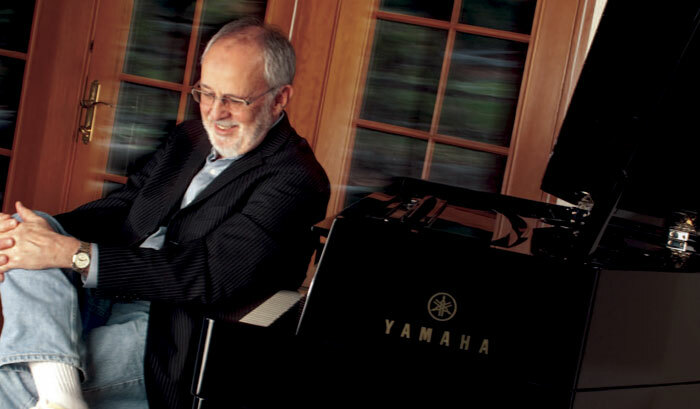 But few have explored those blends with the tireless vision of pianist, producer, and composer Bob James. After a career of 40-some years, 40-some solo albums, and collaborations with everyone from jazz greats Grover Washington and George Benson to pop greats Paul Simon and Neil Diamond, James remains a restlessly creative force. 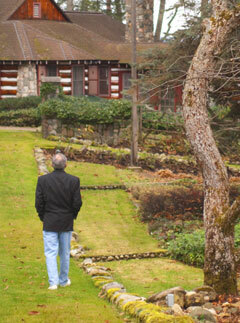 "I've always had eclectic taste," says Bob. "I've always been interested in combining different--and sometimes really disparate--elements in order to arrive at something nobody else thought of before." That spirit is particularly evident in the ten albums James created with Fourplay, an all-star quartet consisting of drummer Harvey Mason, bassist Nathan East, and guitarist Larry Carlton, who replaced founding member Lee Ritenour in 1998. I knew it wasn't a conventional piano, but it felt so comfortable to me. I could sit down and play with my style, the way I normally play. Discovered by Quincy Jones in 1963, James quickly rose to jazz prominence, most notably via a long stint with vocalist Sarah Vaughan. That gig reinforced James's tendency to view himself as an accompanist. "I prefer a supportive role to being stuck too far out front," he says. "I'm more than happy to give up the melodic front line in order to do what I really love: trying to make the lead voice sound better, whether that voice is a singer or a saxophone. That's one of the reasons I've loved being in Fourplay. I can occasionally step out front to do my piano role, but I also function as an arranger, orchestrator, accompanist, and conceptual person." Another career-defining venture was James's tenure at Creed Taylor's CTI records. Both controversial and influential when they were first issued in the '70s, CTI discs often surrounded jazz players with surprising pop- and classical-inspired arrangements. James was a key player and arranger--in fact, a producer in all but name. "Creed was very hands-on, but he was not a musician," recalls James. "He was not directly involved in arranging or conducting sessions. He needed somebody to be his henchman, his facilitator. I gradually grew into the role of mediator between him and the musicians. At times it was scary--I was often called upon to ask musicians to do things they might not have wanted to do. Eventually it led to a producer-like role, though he didn't really want to give up that title. So it wasn't till I left CTI that I really got to have full control over production." After all that risky studio experimentation, you might think James had mastered the politics of collaboration. But he insists his real education didn't start until Fourplay was formed in 1991. "Fourplay," he says, "is constant seminar in teamwork and compromise. Sometimes it's hard, because we all have definite tastes, and we can all be stubborn. But when everything is flowing, we cease being individuals. It's music multiplied by four! It's constantly inspiring and challenging, and really, really fun." Whether he's gigging with Fourplay or creating in his home studio, James plays Yamaha DC7 Disklavier pianos. "I'm a big Disklavier fanatic," he says. "It's become a major part of my working scenario. The number one priority, of course, is the piano's sound--and these sound wonderful. But there's the additional bonus of the Disklavier's ability to record the MIDI information of what I play, after which I can tweak it, manipulate it, and add other orchestration sounds. There are many, many, many different ways that I use the power of the Disklavier in my recordings. Yamaha has advanced that so much further than anybody else." James outlines his usual workflow: "For most of my recording sessions, the computer is hooked up to the Disklavier. I approach the session just like I'm playing a regular piano, but meanwhile the MIDI information gets recorded in sync with everything else. Later I can assign that MIDI data to other sounds, like bells, strings, or whatever, all perfectly synchronized to my piano part. It's also been educational to have the opportunity to learn from my own technique, to see it on a screen, rather than just hear it back. I can see exactly how even or uneven my runs are. I can see the swing factor. Am I rushing? Am I dragging? Are my notes in the pocket? It's so powerful as an educational tool." "Education" is a recurring word when James discusses his enthusiasms. "Basically," he says, "I want to listen to and learn from other people. I'm lucky in that I usually work with people who are at the upper echelon of our field, and they wouldn't have gotten there if they weren't great in some way. I'm always trying to learn from them and pull the best from the situation that I can."